I have been utterly miserable this week and due to this I just haven't felt like blogging at all. JP left for Spain last week Sunday for the CrossFit Meridian Regional competition. He competes with his team today and over the entire weekend. 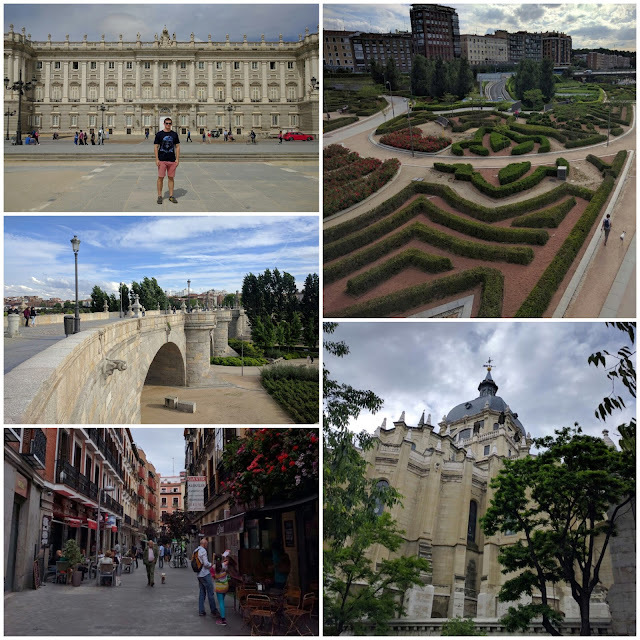 He has shared some photos with me of Madrid which makes me miss him even more - I wish I was there with him. I don't like being apart from JP and hate it when he is miles away. I really struggle with "separation anxiety" - I battle to sleep and my appetite goes away. It makes the days he is away VERY tough and VERY long. Now you might be asking why this is a Feel Good Friday post when I am clearly not feeling happy - well I am happy because it JP is almost home. He'll be back on Tuesday so it is only a few more days to go! Anyway, this post was also just to let you all know why I sudden went so quiet again. I have taken photos for other posts but just haven'g felt in the right mood to blog. I will try to put some content together for next week. Hope you all have a great day and enjoy the weekend.